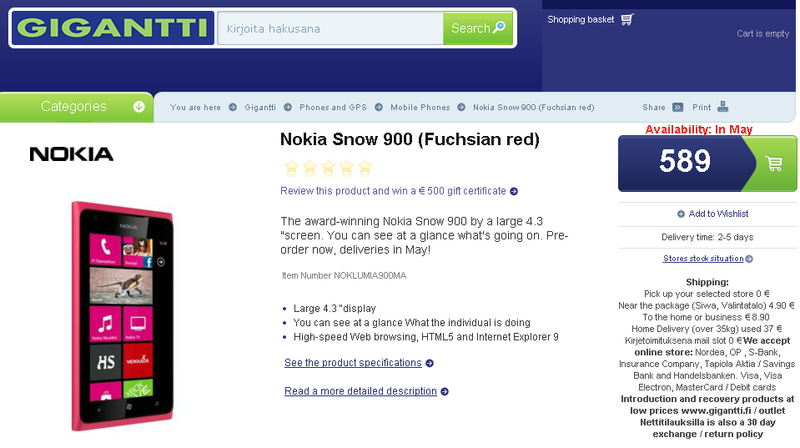 Lumia 900 in Magenta For Pre-Order in Finland – AT&T Next? 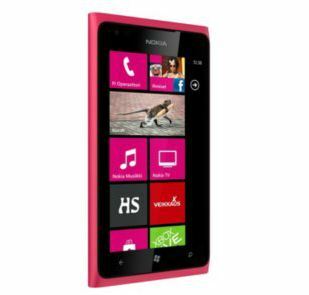 Do you really need more proof that the Lumia 900 in magenta is coming next month? We already saw it accidentally posted in a Microsoft Store and placed as a color option on Facebook by Nokia. Now the retail site ‘Gigantti’ in Finland has the phone listed for pre-order with the release date set for May. I can only imagine that the Lumia 900 in magenta will also be making an appearance around the same time on AT&T. Written by: Hyde13 on April 25, 2012.